Tim J. Evans, DVM, MS, PhD, DACT, DABVT, associate professor in the Department of Veterinary Pathobiology and Toxicology Section leader in the Veterinary Medical Diagnostic Laboratory, was honored as the 2015 recipient of the Governor’s Award for Excellence in Teaching. The prestigious award is presented each year to one outstanding faculty member from each participating higher education institution in the state. Evans and his guests will be invited to attend a luncheon hosted by the governor in early April for the award presentation. Faculty colleagues, departments, schools and colleges or recognized campus organizations nominate individuals for the award. Criteria used in selecting the recipient include effective teaching, effective advising, service to the university community, a commitment to high standards of excellence, and success in nurturing student achievement. Among numerous letter of support submitted on Evans’ behalf was one written by CVM Class of 2015 member Sage Buckner. Evans was Buckner’s mentor during the 2012 Veterinary Research Scholars Program. In his letter, Buckner described the guidance Evans provided that took his work to a higher level. Evans earned a doctor of veterinary medicine at the University of California, Davis. He went on to pursue a master of science degree in veterinary medicine and surgery and a doctorate degree in veterinary pathobiology at the University of Missouri. He is a diplomate in both the American College of Theriogenologists and the American Board of Veterinary Toxicologists. He joined the CVM faculty as a clinical instructor in 2001, and became an assistant professor in 2002. As an instructor, Evans teaches topics including reproductive pharmacology, veterinary diagnostic toxicology and how chemical agents cause environmental disease. 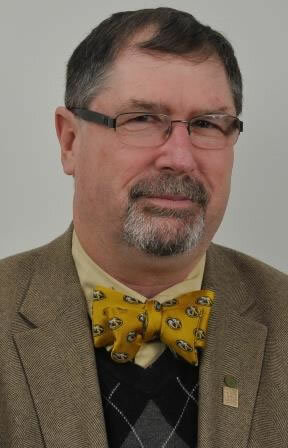 Evans was a 2013 recipient of the William T. Kemper Fellowship for Teaching Excellence and was awarded the Carl F. Norden-Pfizer Distinguished Veterinary Teacher Award in 2012. He has also been awarded two Golden Aesculapius Awards, a SCAVMA Teaching Award for Clinical Sciences and the George Dadd Award for peer-reviewed excellence in teaching.